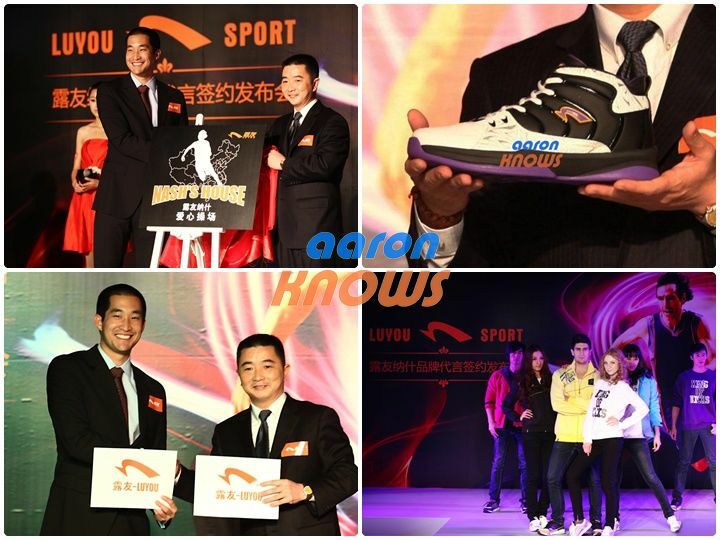 Our first look at Steve Nash's brand new Luyou signature shoe. After reporting Steve Nash's departure from Nike to join China's Luyou yesterday, we have images of what is said to be his first signature shoe under the new brand - the Luyou Steve Nash 1. The shoe sports a midcut, black and white leather construction on the upper and Phoenix-inspired purple and orange accents. It also appears that there may be some graphic work near the forefoot and ankle areas. 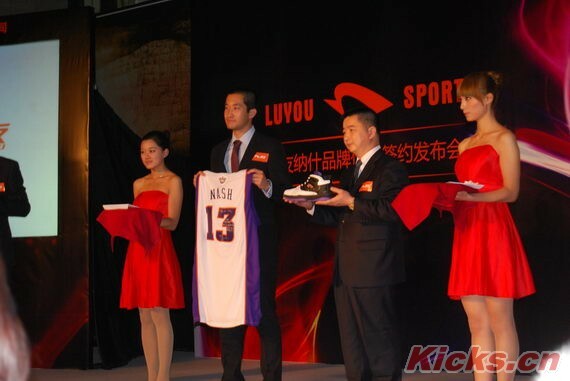 According to Sole Collector reader PTfromRP, the Luyou Nash 1 will be officially unveiled in China on January 15th. We'll continue to follow up with developments regarding this story.